Running Google AdWords campaigns can be expensive and time-consuming, especially for small businesses. If you find yourself with limited resources and budget, you want to maximize the effectiveness of your campaigns by focusing on the right metrics. It’s easy to get lost in the numbers and analytics tied to AdWords and to feel confused by jargon (CPC, CPR, CPA, etc). To make it as simple as possible for you, we’ve created a list of the five most important metrics you should be tracking in your campaigns. Top marketers who run Google AdWords campaigns most often cite Click-through rate (CTR) as the most most important metric to measure. Your CTR indicates how compelling and relevant your ads are to your target audience. If nobody clicks your ad, then they’ll never even see your landing page or website. How CTR is Calculated: The number of people who have clicked your ad divided by the number of people who saw your ad equals the click-through rate. If people aren’t clicking, then chances are your ad copy isn’t compelling and could use some work. CTR also heavily influences your Quality Score, which is how Google scores your keyword campaigns to determine how much you’ll pay per click and who will see your ads. 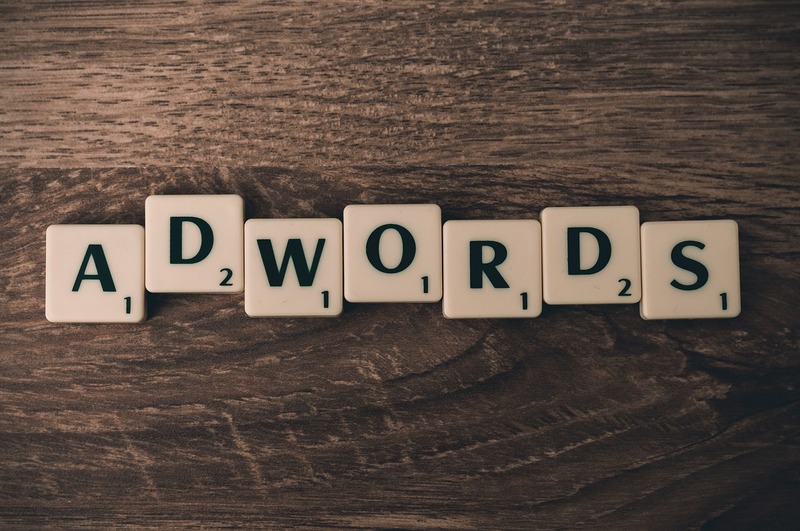 If you visit the Keywords tab in your AdWords account and hover over the speech bubble icon on each of your keywords, Google will show you how your CTR stacks up against your competition by giving each a “below average,” “average” or “above average” rating to expected click-through rate. The industry benchmark for an average click-through rate is 2 percent. Google scores every brand’s keyword campaigns with a Quality Score. Quality Scores have enormous influence over how much you’ll pay for your campaign and directly impact the performance of your campaign. For that reason, this is a huge AdWords metric you cannot miss tracking. As mentioned, Google uses CTR as a top metric when determining your Quality Score. But they also look at the relevance of each keywords to its ad group, landing page quality and ad text. In addition, your historical AdWords account performance will factor into your Quality Score as well. The goal for your AdWords campaigns should be to convert search traffic to customers, so tracking how many website visitors from your ads are converting to customers is extremely important. You don’t want to find yourself paying high amounts for Google Adwords campaigns, yet none of that money is turning into customers. When setting up your Adwords campaigns, you’re given a tracking code to help track conversions through form submissions, online orders, phone calls and offline sales. If set up properly, you’ll be able to view your conversions with your AdWords reports, and it will all be seamlessly and clearly tied together. We highly recommend setting up correctly before launching your campaigns, so you can get a clear understanding of how your ads and landing pages are converting for your brand and where you need to improve. Evaluate ad campaigns. Are you targeting the right keywords for your audience? Watch CTRs. Poor click-through rates mean that your ads are not resonating with the people they’re reaching. Measure landing page conversions. If you’re driving traffic to your landing pages, but no one is converting, test a new version to see if it helps. Track customer lead source. Measure which ad campaigns generate the most customers – and the most ROI – for you business. CPA and CPC are both common terms used when tracking acquisition marketing, and both are metrics you should be watching to understand the financial effectiveness of your AdWords campaigns. CPC (cost-per-click) is how much you pay for each person who clicks on your campaign, so it’s a very important financial metric. You should monitor CPC to understand if you’re overpaying or underpaying per click. CPA is how much you’re paying per person your business acquires. CPA will likely always be higher than CPC because not everyone who clicks and visits your website or landing page will convert. However, if you’re paying a high CPC and CPA, you might be paying for customers and not making money off of them. So track these metrics closely. Now that you understand five important Google AdWords metrics and how to track them, you should be better equipped to succeed at online advertising without breaking your budget. Just remember your business goals, and build and optimize your AdWords campaigns around these business goals. To get a deeper understanding of the effectiveness of your AdWords campaign, you can also use this free Adwords Performance Grader from WordStream. It will look at key metrics such as Quality Score, CTRs, mobile performance and more and see how you stack up against industry benchmarks and the competition. Stick to watching and improving these numbers, and you should be equipped with the knowledge to get the most bang for your buck out of your Google AdWords campaigns.